I just recently returned to work after our move, but going through the process of looking for a new job brought back memories of my last job. I took a couple of photos on my last day to help me remember Sunset Home and the amazing people I worked with. I really loved this job because of them and I really do miss them. To help me remember them, I decided to create this layout using one of the photos I took of me standing outside of Sunset Home on my last day of work. Because the photo is monochromatic, it allowed me to use whatever colors and patterns I wanted. 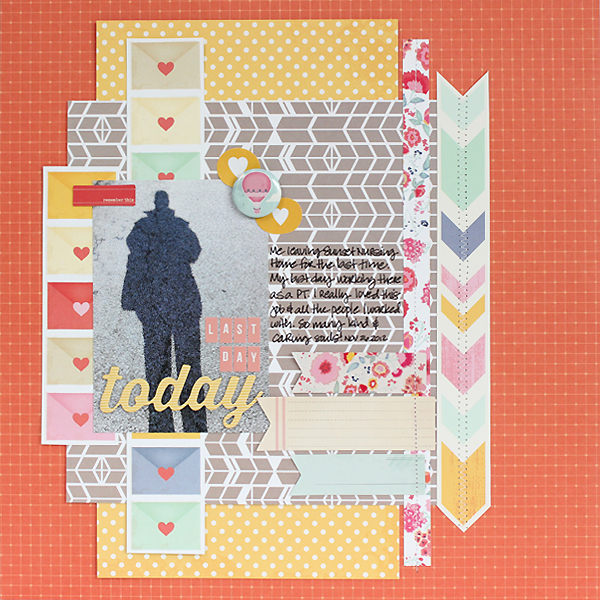 I was immediately drawn to this mix of American Crafts and Studio Calico paper and embellishments to create this layout. The colors helped capture the happiness and good memories I have!!! Mixing and matching patterns and colors that weren't intended to go together is always fun and being a part of the Paper Bakery Design Team has made me want to do more of this when I am scrapping just for me. My working career is on a different path now, so things won't be quite the same as they used to, but I will always remember the good times and the many things these ladies taught me and how they made me a better therapist. Thanks for stopping by today! The photo goes so well with the layout of the paper. Fab design! What an awesome layout! Very meaningful. Excellent job on this one! Beautiful page, Juliana! So pretty with all of the colors and patterns. 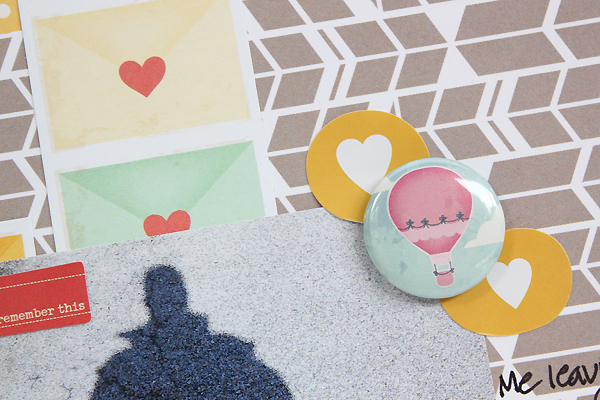 Love the bright and cheerful colors mixed with the grey tones in the pic. Beautiful!! Such a great thing to document!! I love love love love the colors and the hearts!!! Gorgeous layout! I love it! Love this photo Juliana, and the mix of AC and SC looks awesome!! 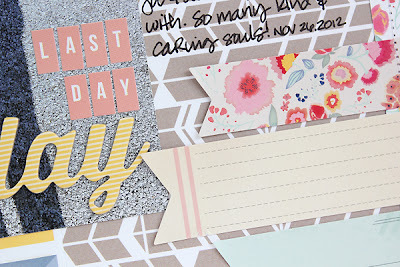 Ooohhh, I really like the color combo and mix of papers here!